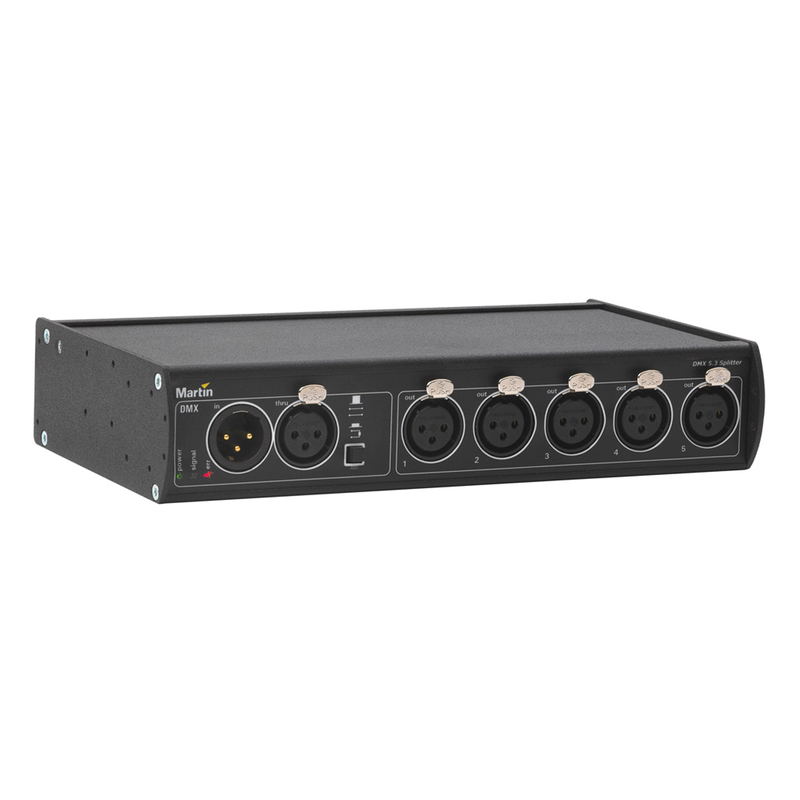 The Martin DMX 5.3 Splitter is the most economical protection for DMX controllers and devices. The main purpose of the Martin 5.3 Splitter is to maintain proper data over long or several runs of DMX signal. The Splitter boosts the weak DMX signal to its original output level before it becomes too low to be read from DMX devices. Disruption of DMX is often caused by bad cables or bad connections. The Martin DMX 5.3 Splitter will help to rectify the signal.